3E Thermal is a trusted partner for improving energy performance, helping to sort the real deal from the hype in claims by manufacturers, vendors and contractors. 3E Thermal also sponsors occasional free or low-cost workshops to share expertise with owners, developers, project managers, contractors, architects and anyone interested in improving the energy performance of their buildings. We offer both cash incentives and technical support for installing energy efficiency upgrades in qualified Vermont apartment buildings. We work with all owners – nonprofit, for-profit, and municipal – across Vermont. We started work in 2009, and were previously known as the Vermont Fuel Efficiency Partnership. Since then, we’ve completed work on more than 250 buildings with a total of more than 2,000 apartments. 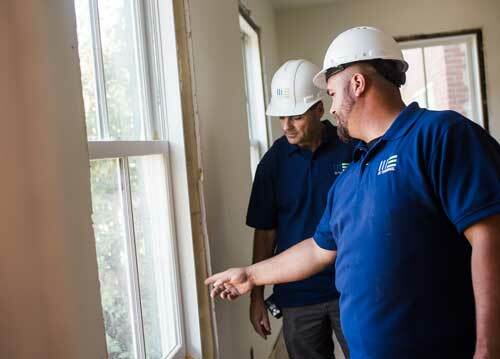 The estimated energy savings generated by the renovation projects we’ve been involved in average more than 37 percent — with some savings running as high as 60 percent. Our staff members are building science professionals who like to analyze the situation, identify problems, and develop effective, long-term solutions. We pride ourselves on being resourceful and overcoming barriers to completing energy efficiency projects. At the same time, we are pragmatic and realize that every project has budget constraints. We provide unbiased advice and don’t try to steer our clients to any particular vendors. We always act as trusted partners. We keep in mind the best interests of building owners, and the long-term sustainability of Vermont’s affordable apartment housing. At 3E Thermal, we believe that everyone should reduce reliance on fossil fuels and use greener products. So we’re a go-to source for information and advice about energy efficiency and green building techniques. 3E Thermal’s primary funding comes from Vermont’s participation in regional energy markets, not taxes. It is administered by Efficiency Vermont, ensuring rigorous standards of analysis and accountability. Additional funding comes from the Vermont Home Weatherization Assistance Program, using revenues from a tax of less than 1% on heating fuels (the exact amount varies slightly by fuel), administered by the Office of Economic Opportunity, Department of Children and Families, Vermont Agency of Human Services. 3E Thermal has also received funding from VLITE, Building an Energy Secure Vermont.